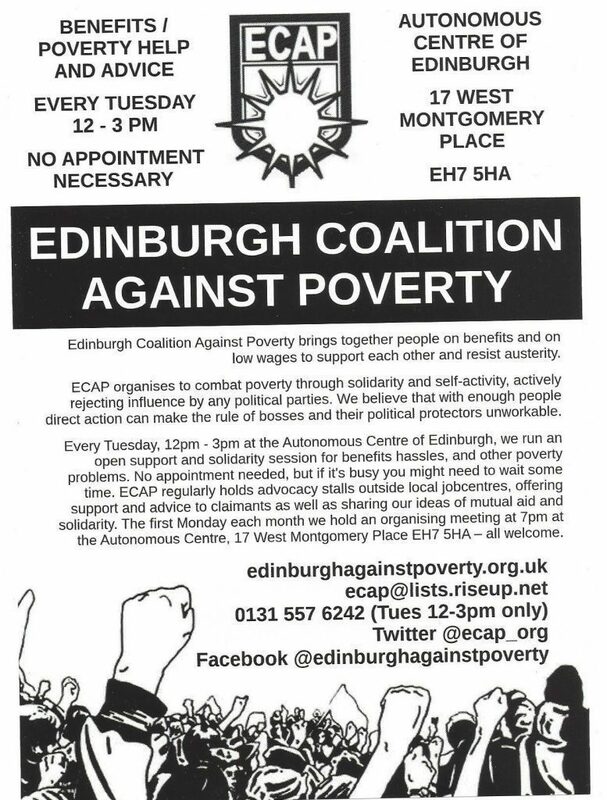 Every Tuesday between 12 and 3 pm we hold an advice and solidarity drop-in. We welcome all those experiencing problems related to work, the dole, council services, housing, debt or poverty. We are only volunteers, not professionals, but will share our knowledge as best we can and always try to campaign collectively against the unfairness in our society. Our drop-ins can get very busy so please come early and prepare for a bit of a wait! Free food is often available as well as information about the facilities at ACE including events and campaigns we’re involved in. If you’d like to volunteer, or just hang out and provide a friendly ear to listen, please come along or get in touch.